Bear Hug® Infusions was part of this prestigious trade show. For the 18th edition of Vinexpo 2350 exhibitors from 42 countries, and 48500 visitors from 151 nations have come to Bordeaux. The exhibitors praised the visitors’ professional and international profile (36% of visitors came from abroad). The slight drop in northern European visitor numbers has been largely compensated by a clear increase in the number of international visitors. The rise in participation numbers of Chinese visitors was huge (+14%), and other countries also showed clear increases in visitor numbers, Japanese visitor numbers were up (+5%), the USA (+15), Africa (+18%), the Pacific region (+28%) and Southern Europe (+7%). Still, France remains number one in terms of visitor numbers (64%), followed by China and the USA (Special Guest country of Vinexpo 2015), Spain and the UK. Bear Hug® Infusions was part of this prestigious summit. After three decades of service to the duty free & travel retail industry, Tax Free World Association (TFWA) can take satisfaction in the knowledge that it has contributed to a 1000% growth in global sales, from USD $6 billion in 1985 to USD $60 billion last year, and supported the industry through some extremely challenging times. TFWA reported that once again visitor numbers had exceeded expectations, beating attendance at every other event in the Association’s history. “The excellent visitor figures demonstrate that the duty free & travel retail industry is flourishing which, I hope, justifies my optimism that we will achieve impressive business development in the coming years and, hopefully, another ten-fold increase in global sales over the next three decades.” Commented Erik Juul-Mortensen, President TFWA. 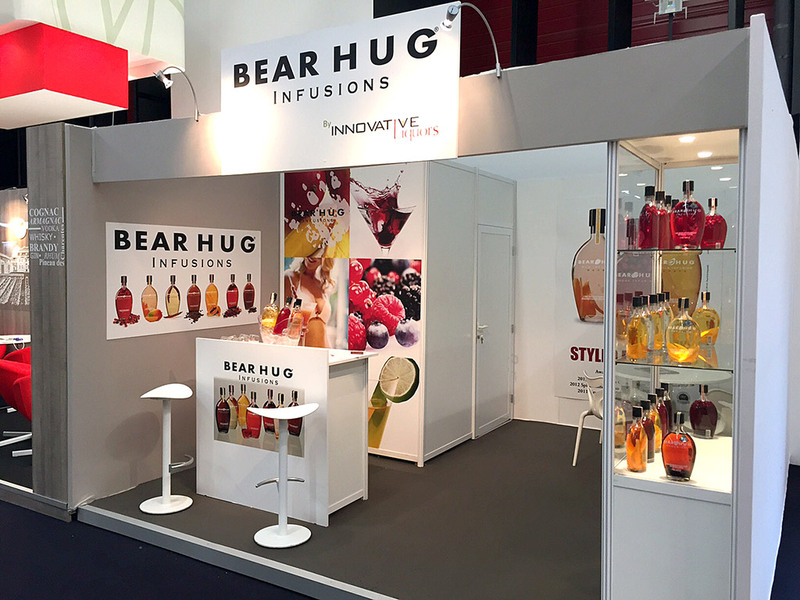 Bear Hug® Infusions was part of these prestigious trade shows.